thank you for your last help Peter. Now I need your help again please. 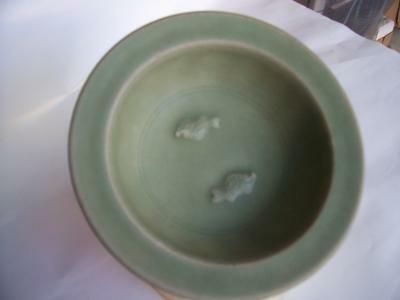 Just bought this bowl look like antique to me ( had seen it in the net somewhere). Am I right?? description: 13.5cm diameter, 4cm high, footrim 5.5cm diameter. 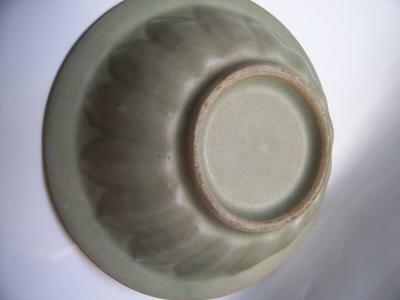 Hi, this looks like a Longquan celadon bowl. But there is lots of fakes out there, and it is impossible to make sure from pictures alone. I would recommend you find to try someone in your area to check. I'm not quite sure about this foot rim. You should have some collectors or knowledgable dealer in the area that might be willing to help. As your place is on one of the ancient trading routes on which the porcelain was shipped, it could also be that a museum there has some examples.